I LOVE THESE! These would make GREAT teacher gifts! Head over to get one (or a few...) of these Personalized Coffee Tumblers for ONLY $11.99 (Retail $19.99)! 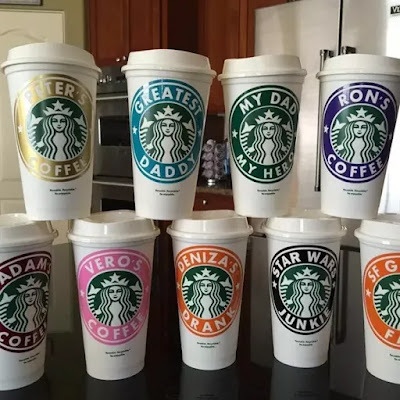 Personalized Starbucks Coffee Cups, in your choice 12 colors for personalized ring around logo. These make great gifts! Perfect for teachers, co-workers, bridesmaids or just a little something for yourself - you deserve it! Customize with your favorite color.